MOGADISHU (Reuters) - Militant Islamist fighters captured a strategic town north of Mogadishu on Sunday, leaving government forces isolated in pockets of the country's capital and central region after two weeks of heavy clashes. In a sign of some disarray among militant ranks however, a former warlord and powerful opposition leader defected to the government side over the weekend. President Sheikh Sharif Ahmed's United Nations-backed government -- the 15th attempt to establish central rule -- is struggling like predecessors to contain powerful insurgents, currently led by hardline militant al Shabaab. "Al Shabaab captured Jowhar after serious fighting on Sunday morning," resident Ismail Farah told Reuters. "At least seven people including four civilians died." Jowhar, Ahmed's hometown, is 90 km (56 miles) from Mogadishu and links it to the volatile central region where local sources say 68 people have been killed in clashes between al Shabaab and a moderate Islamist group since Friday. Over the past two weeks, fighting in southern Somalia has killed at least 172 civilians and wounded 528 others, according to a local rights group. Somali Security Minister Omar Hashi Aden said the militants were being supported from outside. He has previously accused Eritrea of arming the insurgents, a charge Asmara denies. 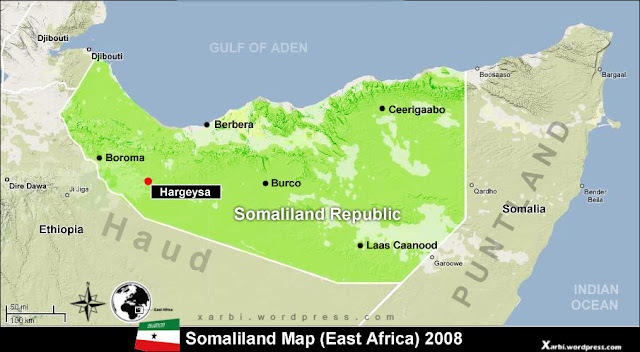 "They are fighting in Mogadishu, and central Somalia. They have also started a war in Jowhar. They are economically and militarily supported ... it is not cheap to sustain fighting." Eighteen years of conflict have destabilised the region, sent tens of thousands across the border, and drawn foreign militants and a flood of arms to the Horn of Africa nation. In a much-needed boost for the government, former warlord and powerful opposition leader Sheikh Yusuf Mohamed Siad, also known as "Inda'ade", defected to its side over the weekend. "The opposition are bandits," Inda'ade told reporters. "We shall defend the Islamic government. They (opposition) do irreligious acts, and they kill innocent people." Inda'ade's former group, Hizbul Islam, confirmed the defection but said it would not change anything. "(Inda'ade) and his troops have left us and joined the government ... but that will not affect us," said Hassan Mahdi, spokesman for the group. Hizbul Islam is an umbrella opposition group including militant leader Sheikh Hassan Dahir Aweys, seen as a powerful figure among insurgents. Aweys said Inda'ade had given most of his weapons to him before defecting. On Friday and Saturday, fighting between Shabaab and a moderate Islamist group in two central towns killed some 68 people and sent 3,300 others fleeing from their homes, pro-government forces and a rights group said. "We have killed 47 al Shabaab fighters including a white man in Mahas and Wabho," Sheikh Abdullahi Sheikh Abu Yusuf, spokesman of the moderate Ahlu Sunna Waljamaca, told Reuters, adding that three of their fighters had been killed. The Mogadishu-based Elman Peace and Human Rights group said 18 civilians were killed in those clashes, and that 3,300 people had fled their homes. "Fighting continues non-stop in those areas," said Yasin Ali Gedi, vice chairman of the group. (Additional reporting by Mohamed Ahmed and Abdi Guled; writing by Jack Kimball; editing by Philippa Fletcher).